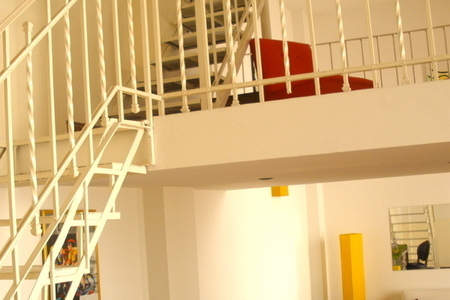 Warm and sunny house, loft style with high ceilings and great location in Palermo "Hollywood". This area is full of restaurants, cafes, pubs and design shops. 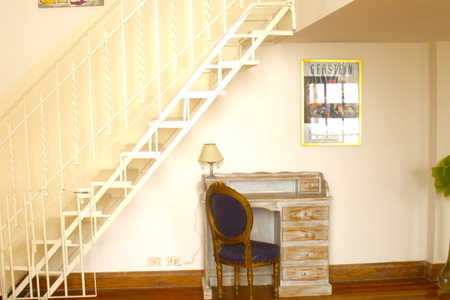 The house was completely remodeled with great taste, and features a large living room, a desk area, a bright dining room with table for eight facing a winter garden, 3 bedrooms with double beds, a mezzanine with a single bed, a beautiful spacious and well equipped kitchen with breakfast area, 3 bedrooms are with shower. 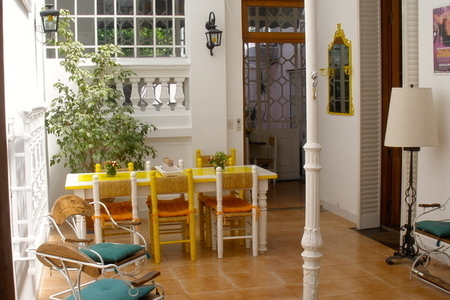 There is also a lovely patio with a barbecue and sunny terrace. It is equipped with internet access (WiFi), cable TV, airs conditioning (in the dining room, and bedrooms 1 and 2), refrigerator, dishes, kitchenware, linens and towels.